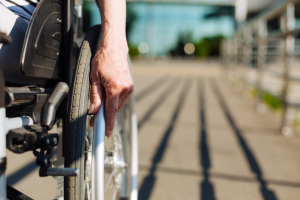 The Americans with Disabilities Act, or ADA, was originally published in 1991, and has since been amended numerous times to update the regulations. It can be hard to keep up, and understanding the specifics is no easy task. The answer is – well – a bit complicated. Let us explain. Being accessible includes a wide and diverse audience, such as seniors, young children, people healing from surgery or illnesses, etc. 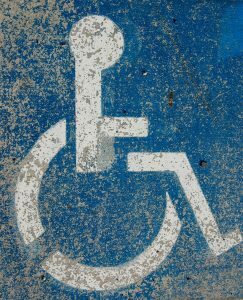 When renovating your facility, accessibility issues do need to be addressed. However, it is a misnomer that once you begin to renovate you must address all the issues. It really comes down to having an accessible pathway from wherever your main renovations are taking place in and out of the building. So, if you are a church that is renovating your sanctuary, for example, then you would need to ensure a fully accessible pathway into the building and to your sanctuary, as well as back out to the parking lot. This does include handicap accessible parking spaces that are located on the shortest accessible route of travel from adjacent parking to an accessible building entrance. There are some specific restrictions for sizing of those spaces, access aisle size, and maximum slope, as well (if you would like those details, please contact us – we are happy to discuss further). When considering your parking lot situation, it is a good idea to survey your lot during your busiest time. Are all the ADA spaces filled? Where and how are the people parking? This will provide clarity and guide what your individual needs for parking lot renovation might be. From the parking lot, you must next consider the shortest accessible path to the front door. There should be no steps, no steep slope, and no unstable surfaces. The pathway should utilize a firm, stable, and slip-resistant surface that creates a path at least 36” wide. The front door itself should have a threshold of ½” in height or less and should avoid use of a surface mat – they may become a tripping hazard. Accessible rest rooms are another vital consideration to include in your planning. We always advocate for rest room placement to be visible and close to the main entrance. We suggest to many organizations the concept of a “Family Rest Room” in addition to the Men’s and Women’s rest rooms. These private rooms have a larger space to maneuver as an individual or a family and meet the needs of a variety of conceivable visitors. In the instance that you are not including a family rest room, it is beneficial to provide a rest room area that affords a circulation space both outside and inside the rest room that is adequate for someone to take their time in the midst of heavy traffic. Lastly, elevators are a substantial component to ensuring your facility is accessible to all. An elevator, like rest rooms, should be visible and close to the main entrance. The entrance space outside of the elevator cab should be large enough for waiting without impeding on another key space, while its inside buttons must clearly communicate the floor location. While this in no way encompasses all potential requirements, we hope it has given you a good idea of some possible considerations.We encourage you to think about your facility being “Welcome to All.” We can provide you with some economical, quality solutions to complex problems that help make your building a effective tool for your organization. If you are thinking about a renovation project, we would love to speak with you. Our Special Services Group was developed to concentrate specifically on projects like yours.